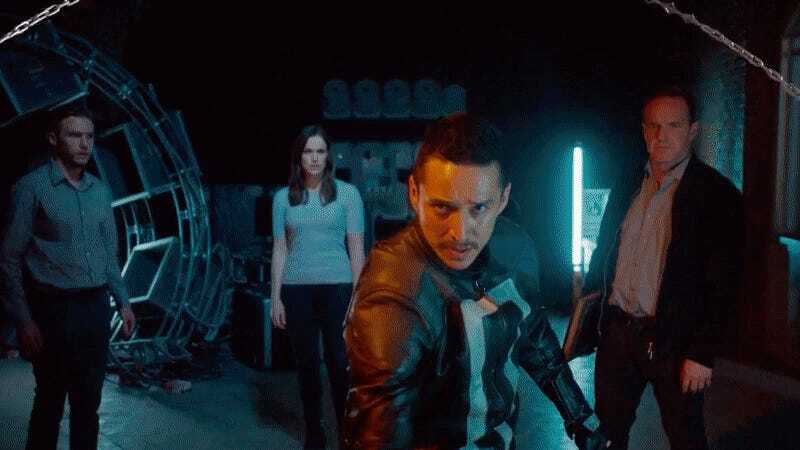 In its fourth season, Agents of SHIELD’s delved into the more magical side of Marvel’s Cinematic Universe by introducing Gabriel Luna as Ghost Rider and giving him a pretty solid connection to Doctor Strange. Magic made for some of Agents of SHIELD’s most visually stunning episodes and in a new reel from CoSA VFX, we see just what all it took to make it all happen. It’s no secret that the sheer cost of rendering Ghost Rider’s transformations and fiery supernatural abilities ultimately led to the show’s producers limiting the character’s presence. In CoSA’s reel, you get a good sense of how much went into getting this season’s visuals on par with the sort of stuff that you see in Marvel’s larger budget cinematic outings. Magical moments aside, the reel also shows off just how impressive a small application of CG in just the right place can be.